Annamaya Kosha: Part of the physical body. It is known as the “food sheath”. This is the anatomical body. It is the most obvious (like feeling your hamstrings in your first forward fold!). This body is composed of muscular and connective tissue, and bones. Anna means food. This body needs food for it’s maintenance.Composed of elements of the physical world. Made from food and will go back into the cycle of food upon death. It is overcome through asanas and proper diet. Part of the astral body. Known as the vital sheath. This is the breath body. It is also the subtler aspects of of the energy body. You could call is physiological. It encompasses moving the air to all the vitals and bringing the anatomical body (your own skin bag!) to life. It also contains the nervous, lymphatic and endocrine system. Composed of the 5 pranas and the 5 organs of action. It experiences hunger, thirst heat and cold. It is overcome through practices of pranayams. Part of the astral body. Known as the mental sheath. This is the mental body. It is how you perceive the world through your 5 sense organs. Eyes, ears, nose tongue and skin. It also involves your feelings, emotions and how you organize your experience. Composed of the organs of knowledge, manas and chitta. It experiences thinking, lust, doubting, anger, exhilaration, depression and delusion. it is overcome by practicing yamas, niyamas and selfless service. Part of the astral body. Known as the intellectual sheath. This is the intellectual body. Also called the wisdom body. This body takes the mental body one step further by being the framework for how you make decisions. Past karma (your actions) and environmental and social conditioning influence this body. Composed of buddhi and Ahamkara (intellect and ego) and also works with the 5 organs of knowledge. It is overcome by the study of scriptures, right inquiry and meditation. Part of the causal body. Known as the bliss sheath. This is the most subtle body. The inner ring of the tree and the closest to who you really are. It is the causal body and is responsible for the cause of everything. It is like a blank projector screen that remains blank even though the movie is playing on it. It is untouched, unchanging, and the only real truth. It is the sense of contentment that you feel when you are laying on the floor in savasana and everthing aligns, even for just a moment. It is the one breath that you can follow completely, all the way through inhale and exhale. It is the feeling of watching a sunset and actually being the sunset. It is vast and unexplainable. It experiences bliss, joy, calmness and peace and it is reach by Samadhi. Yoga is a way of connecting all of these bodies that make up you. After dedicated observation it becomes clear that all of these bodies interconnect. As we see how breath affects the mind, as the mind affects breath. When you look deeply into past conditioning you find anxieties that made knots and grooves in the body and psyche. When all align, there is a moment of pure clarity. 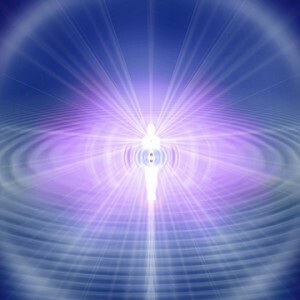 These layers go from the physical body into the Absolute realm that is within the heart yet contains all things. Yoga teacher and therapist help students delve deeper into their own beings through balancing the physical body, controlling and expanding the breath to allow greater access to their buddhi minds and then sitting silently and calmly in the center of their joy. Can we begin with “entering” the house of the soul without first leading thru the other sheaths. Most of us are not ready or willing to travel so deep without balancing our bodies, breath and mind first. Especially for the students who are dealing with great stress beginning with the physical and the breath is a gentle way to open their minds to the possibility of a deeper freedom and joy. Prana is the life force that permeates all living things and all matter. This cohesive animating force of Maha Prana moves in the body, regulating and controlling all physical and mental function. There are 49 prana vayus or types of vayus in the body, and five principle vayus or “panacha pranas” are important for the yogi to know. Vayu translates as “wind,” all-pervading movement. The root ‘va’ means “that which flows” – and a vayu is a vehicle for activities and experiences within the body, or a “force” that moves throughout the system controlling functions of digestion, respiration and nervous system. The vayus function in unison, each governing an area of the body. They are elemental forces that govern emotional qualities and mental energies, fundamental to physical, mental and emotional wellbeing. 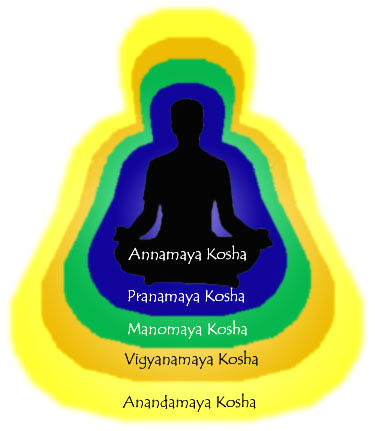 Yoga asana and pranayama, optimizes the functioning of vayus, and can bring them under our influence. Their energies can be used to uplift and restore vibrant health. Prana moves down from base of throat to navel (pranic center or kanda) and energizes all vayus. It moves up from navel to throat.